The tactic that was deployed was to allow James [Murdoch] to do all the talking, to talk in this generalised management type of jargon in a sort of Donald Duck kind of accent and take the heat off Rupert who would know nothing, see nothing, hear nothing. What Australian institution does the most telephone, email, SMS and mobile phone hacking in Australia, and who is its CEO? What institution intercepts private telephone, email, SMS and mobile phone communications 24 hours a day, 7 days a week, 52 weeks of the year through the largest communications-intercept network in the country, and keeps its’ operations totally secret? 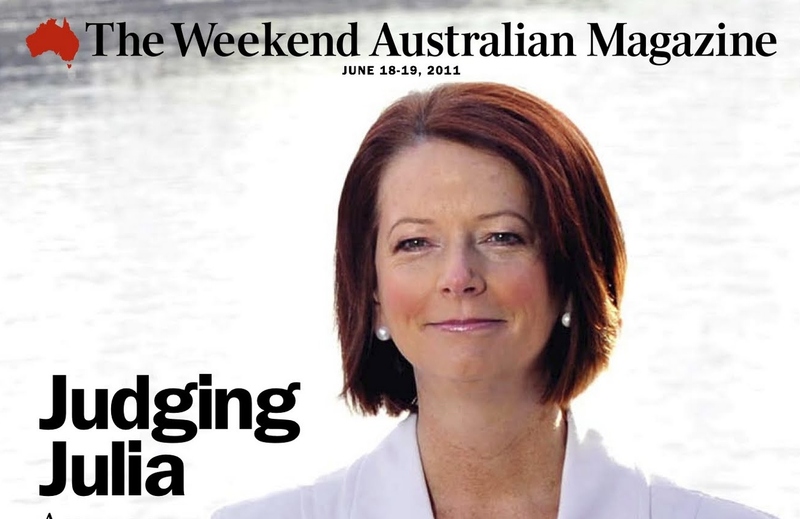 The institution is the Federal Government of Australia and its CEO is Julia Gillard. While some may see the activities of a few employees of News International as slightly different to those employees of the Commonwealth, the fundamental underlying issue is the same—hacking into the personal telephones, emails, SMS messages and mobile phone content of private citizens. Perhaps the Prime minister should be more cautious as to what she wants to “inquire” into? And certainly let us all know what the “hard questions” are. When I was a fortnightly traveller to Sydney I would occasionally hear of a mysterious, windowless, concrete building, somewhere in Sydney’s western suburbs that had the technology to scan every telephone call and email into and out of the city. It was reputed to be a sort of massive extension of the surveillance operation like that in the 70’s film Three Days of the Condor. Although it was always mentioned in a hushed tone, I put the story down to either an urban myth or a paranoid conspiracy theory. Then this week came the information, out of the News of the World hacking revelations, that Scotland Yard had a sort of Tardis room where the latest technology allowed the Bill to instantly discover the location of every mobile telephone in the nation. Apparently the service was made available to certain News of the World operatives—and more than likely to other British newspaper-persons. Money is said to have changed hands. This week the American software giant, Microsoft, had approved by the US Patent Office a patent (#20,110,153,809) for software that will allow governments to record, without a user’s knowledge, all their emails, smartphone discussions, Skype, PC’s and set-top box info. No doubt the Australian government will be a customer for this stunning new bit of privacy-defeating technology. In Australia we are under the delusion that things like legal telephone and internet intercepts are done via a process which requires things like court-orders and strict requirements from those in authority to authorise phone interception with caution. We are under the impression that the invasion of our privacy is only condoned when criminal activity is suspected or national security is at risk. But the phone tapping debacle that occurred in Victoria, under the watch of Police Commissioner Simon Overland put paid to that little theory. In the Overland situation, telephone taps were placed on the telephones of deputy commissioners of the Victorian Police for what appears to be, on the surface, blatant political and self-serving motives. Under the Telecommunications (Interception and Access) Act, it is a serious criminal offence to disclose information from “taps” unless it is for a narrowly defined “permitted purpose”. One telephone interception took place on telephones used by a member of staff of a minister of the Victorian government. So what we had was telephone hacking under the cloak of Federal government legislation, which is overseen presumably, by the Attorney General Robert McClelland, with ultimate responsibility resting with the CEO Julia Gillard. No doubt if questioned, both would use the “Rupert Murdoch” approach and claim that they run a huge organisation and cannot be held responsible for the actions of a few rogue individuals. Invasion of privacy runs deep in the investigative operations of Federal government departments; particularly in the operations of Centrelink, the Tax Office, the Federal Police, Customs and organisations like ASIO and military intelligence. These bodies are allowed to pass on gathered information to other government departments. Obviously these activities are necessary for the uncovering of criminal activities. But why the lack of grunt in investigating obvious breaches of the Telecommunications Act when the hacking has been for obvious political purposes? Some years ago Centrelink admitted that there were hundreds of “unauthorised” openings of citizen’s personal files. Another aspect of “legal” telephone hacking by government agencies, and individuals, is that a “licence” to hack only covers one end of the telephone, the person of interest. What about the person on the other end of the call. Are they not entitled to privacy? In the Victorian Police caper, that person was a government minister. What right did the police have to listen into the Minister of Police’s conversations? Presumably, legally and ethically, none. Strangely, Australia’s problem with the invasion of privacy rests in areas such as snoopy-information-gathering by government and business, rather than any fear from our newspapers. As The Australian lobs on my front lawn it is the least threatening item I’ll encounter in a world of government and business peeping-Tomery. CCTV cameras, Woolworths recording my grocery buying habits, security guards going through my luggage or briefcase, my personal details being gathered and sold on to unknown third, fourth and fifth parties’ — as well as people with exotic foreign-voices calling on the telephone, trying to flog something. How did they get our silent number? In 2009 Senator Scott Ludlum told the Senate and Legal Affairs Committee that Australian citizens were 23 times more likely to have their telephone bugged than their US counterparts. In one 12 month period 2929 warrants were issued in Australia compared to 1800 in the USA. Of course, what we are talking about here is “legal” phone tapping, government phone hacking whereby the information gathered will possibly be used in a court of law. Illegal hacking by government can’t be used as evidence, but must be mighty handy. You would have to be fairly naive to believe that telephone, mobile and internet interception “by other means” isn’t taking place in this country by government agencies, or private contractors, hired by government agencies. You don’t need a warrant from the Attorney General or a magistrate to be hack-ready. A simple search on Google will supply details of how to hack mobile phones. YouTube gives video instructions. You can buy the latest “bug” for home, business, or government intrusion, online. Items of clothing are now being “bugged” by manufacturers and retailers so items can be traced to where you live. Watch out for strange lumpy tags on your new shirt. The GPS in your new car can tell tales. The faux indignity of our Prime Minister about the News of the World scandal and her attempt to tar The Australian with the same brush, has a whiff of political opportunism to it. Without that newspaper we would be all ignorant about school-building scandals, the NBN debacle, pink-batts and the various opinions and issues of climate change and the stark realities of the Carbon Tax. The ABC and Fairfax certainly didn’t get very excited about investigating these important issues. Curious? Madam, this is a country over-run by invasions of privacy, intrusion, regulation and overbearing government control. For goodness sake, do something about that, and leave the one source of relief and hope and information about your activities — our newspapers — alone. I guess they didn’t call the PM in Yes, Prime Minister, Jim Hacker, for nothing. Oh, on the Geoffrey Robertson crack about James Murdoch’s Donald Duck voice. I wouldn’t be commenting on funny accents if I were you, Geoffrey!